For the second day in a row the weather has decided to actually feel like summer which means this weekend I’m thinking about getting outside and spending time with friends and family. Along with fried chicken and corn on the cob, there’s another food that’s a staple at many picnic gatherings – tuna! Whether it’s in sandwich form or made into a refreshing salad, tuna is a popular and tasty addition to many a outdoor meal. Over the past 65 years, StarKist has established themselves as the leader of providing easy to prepare, ready to eat tuna, and with the introduction of their StarKist Tuna Creations, they’ve made eating tuna even easier. There are six varieties of StarKist Tuna Creations that contain pre-seasoned, premium tuna that is ready to eat out of the bag. Each StarKist Tuna Creation is a low fat, low calorie (as little as 60 calories per serving) source of protein and Omega-3s. 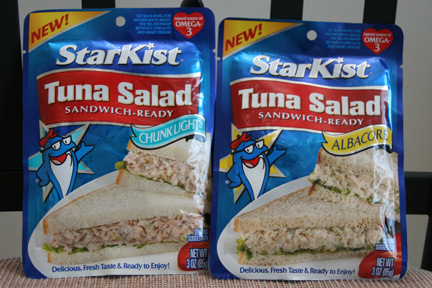 In addition, StarKist has two varieties of Sandwich-Ready Tuna Salad that are already prepared for immediate use in sandwiches, wraps or salads. Available in Chunk Light and Albacore flavors, the StarKist Sandwich-Ready Tuna Salad is also a great source of protein and Omega-3s with as few as 100 calories per pouch. The Albacore tasted just like Grandma’s tuna and it seemed like it was made straight from her kitchen using her recipe (minus the relish.) It was light, easy to fix and had all of the main ingredients to make a good tuna salad. Chunky Light was just as delicious and home-made tasting as the Albacore. It seemed to have larger chunks of tuna and maybe slightly more mayonnaise. The StarKist Hickory Smoked Tuna had a rich BBQ taste. It tasted like tuna, but had a thicker texture and more flavor than any tuna he’s ever had. It also had an extra kick of flavor thatalmost made him think he was eating BBQ chicken. The Sweet & Spicy tuna had a rich flavor that reminded him of taco meat mixed with salsa. It had a great after taste that lingers on the back of the tongue and then slowly fades away. Shao was amazed at how much he enjoyed the StarKist Creations straight out of the bag – without adding mayonnaise or seasoning – and thought that each StarKist Creation’s bag had tons of flavor on it’s own without being overpowering. I’ve never been the hugest tuna fan, but after hearing Shao’s praises of the StarKist tuna, I decided to give tuna another try. I wasn’t quite brave enough to just eat the tuna right out of the bag, so I decided that I would use one of StarKist’s recipes to re-introduce myself to tuna. 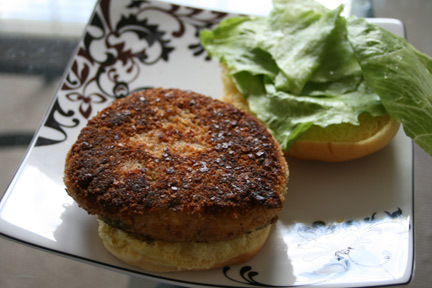 After some browsing, I decided to make their Bolder Burgers using the StarKist Tuna Creations in Herb & Garlic Flavor. I opened up the bag of tuna and sniffed. It smelled delicious. The smell of tuna has never been my problem, it’s always been the fishiness of the tuna that I took issue with. I decided to be brave and taste the tuna out of the bag. Wow…it was not at ALL what I was expecting. The texture was soft (but not mushy), there was a lot of flavor, and the fishiness level was WAAY down. A million times better than what I remembered tuna tasting like. This was a good sign for my tuna burger endeavor. A few minutes of mixing and then about 6 minutes of cooking later, I had freshly cooked StarKist Tuna Bolder Burgers ready for lunch. Again, all I could say is, “Wow.” The tuna burgers were the perfect combination of flavors. The melted cheese, ranch dressing, tuna, onions and breadcrumbs all blended together into a flavorful hearty bite. Honestly, the burger was so meaty and tasty that the only way I knew it was tuna (other than the fact that I’d made it) was the hint of tuna flavor aftertaste I could detect as I licked my lips. Be aware that you will have to eat the burger carefully otherwise as you bite, you’ll squeeze your tuna burger down so that it bursts out of the edges. Definitely opt for larger hamburger buns over the smaller ones I got. I was amazed at how much I enjoyed the burger. For someone who was anti-tuna for at least 15 years, I feel like this is a pivotal moment in my life. You might think I’m being silly, but realizing that I actually like a food that is served a LOT at parties and gatherings is sure to minimize the number of times I leave a picnic feeling hungry. If you’ve been a tuna hold out, I would hands down recommend you at least try the StarKist Tuna Bolder Burger. For more information about StarKist and their many tuna products, please visit www.starkist.com. You can also follow StarKist on Twitter and Like them on Facebook to stay up to date on their latest news, tips, and recipes. After a little bit of feedback from some readers, it turns out a few people prefer just ONE entry per person for giveaways. I thought we’d try it out for this giveaway and see how the response is. If you like it this way, or you prefer to earn multiple entries, please let me know in this poll so I can adjust accordingly. What’s Cooking at DD StarKist Tuna Giveaway! 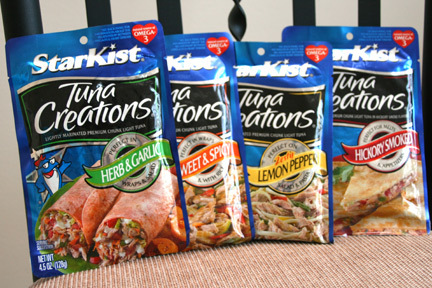 The Prize: One winner will receive 10 packs of StarKist tuna! To Enter: Visit www.starkist.com and let me know in the comments section which variety of StarKist Tuna you would like to try or is your favorite. Giveaway ends at 11:59 PM EST, June 10, 2010. Disclaimer: This post consists of my (and/or fellow tester) opinions only. No compensation was given for this review/giveaway. I did receive free StarKist products from the manufacturer or representing PR agency for the purposes of testing. This did not affect the outcome of this review. I would love to try the Chunk Light Tuna! 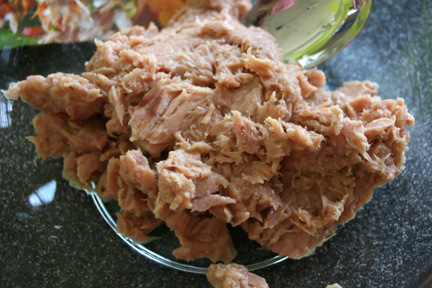 I love the Chunk Light Tuna in water, but the Hickory Smoked Tuna sounds good too. I'd love to try the marinated tuna. I usually buy the solid or chunk white but marinated sounds interesting. Chunk Light is our favorite but I'd love to give the Lemon Pepper a try too. I'd like to try the Sweet and Spicy. I would like to try the Tuna Creations Lemon Pepper! I love the Lemon Pepper Tuna. I had almost all of them, and I like the hickory smoked the best. I'm a Classic Tuna girl–more economical, too. However, the pouches do taste a bit better. The Tomato Pesto Starkist Creation sounds yummy. My husband goes nuts over the Hickory Smoked tuna-Tuna Creations: so I try to buy some whenever it's available, the grocery stores don't stock it often in our area, unfortunately. I think I'd like to try the Lemon Pepper tuna. I'd love to try the herb and garlic. I'd love to try the Very Low Sodium Chunk (they spelled it Chuck on the page I saw, but I think they meant Chunk) White Tuna. I mean with the herbs I add we really don't need more sodium. I think fish already tends to have a salty enough taste. I think I'll have to look around for this product though because the two stores I usually use don't have this as far as I know. I don't mind which way you want to do the entries. If you want one entry per person if may be more fair for those moms who have to work outside the home and don't have time to belong to twitter and facebook and such, but on the other hand if you want more exposure for your site extra entries requiring extra work may be the way to go. Yet, if you want to please everyone you could do one giveaway with extra entries and the next without and switch back and forth. It's your site and I think you should do it your way and if someone doesn't like it then they can start their own blog. You're the Boss, and just a clue, you'll never please everyone all the time. I'd like to try the Tuna Creations, Sweet & Spicy! I saw a recipe for Pot Stickers using this that sound great. Tomato Pesto Albacore Tuna!!!! How fabulous does that sound! I'd love to try that! I would like the Herb & Garlic Tuna. This would be great with pasta. I'm a big fan of their lemon pepper tuna! I love the Hickory Smoked tuna. It is so yummy stuffed in tomatoes. I'd like to try the Herb and Garlic tuna. I'd like to try the Hickory Smoked Tuna…I luv to try it on a toasted bagel with cream cheese and a little red onion, yum! Great giveaway, thanks. The herb and garlic flavor sounds good. Thanks! I really like the Herb & Garlic Tuna . I love the tuna in water only. I would choose the lemon /pepper kind. I saw Sandra Lee use it on Tv the other day. I would like to try the herb and garlic. I like their solid white tuna in oil. I'm really upset that they shrunk down the can from six ounces to five ounces though. My favorite is the hickory smoked tuna. I'd like to try the herb and garlic. That sounds really good. I'd like to try the Hickory Smoked tuna and make tunaburgers like you did. I think that would be great. I'd like to try the Sweet & Spicy. It might make a good dip or spread for chips or crackers. Thanks. Lemon Pepper Tuna sounds pretty tasty! Thanks for the giveaway! The Albacore Tuna is my favorite. I love tuna fish sandwiches! I've bought most of these before and I love the sweet and spicy tuna. It makes the best quick homemade sushi with some rice and maki sheets. StarKist® Solid White Albacore Tuna… can't go wrong with plain tuna! I like Tuna in the pouches much, much better than the canned Tuna. I would like to try Lemon Pepper. Thanks! I'd like to try the tomato pesto albacore tuna. Thanks for the chance. I like all of the albacore tunas. I would love to try the herb and garlic. I would love to try the Herb and Garlic tuna. I'd like to try the Herb & Garlic Tuna. I've tried several of their varities, and I like them all, but my favorite is sweet and spicy. So good! I'd like to try the lemon pepper tuna. I would pick the lemon pepper. I would like to try the sweet and spicy! I'd like to try the Garlic Herb! I like the Lemon Pepper Tuna. The Lemon pepper sounds tasty. I'm new to tuna so I would start with the plain. I'd like to try it fried like a crab cake first. I would like to try Herb & Garlic Tuna! Thanks! I would love to try the lemon pepper! I'd try the Sweet & Spicy first. I had no idea that they had so many varieties. Really would like to try the herb and garlic, they all look so great, it's hard to chose, thanks for letting me enter. Would love to win. I think the lemon pepper looks good, I think that's the one I'd like to try, I would love to try any of them, I hope I win, thanks. 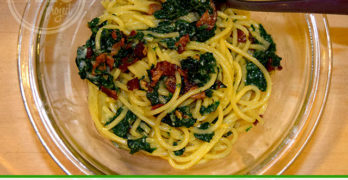 I would love to try the herb and garlic, it looks like it's so tender and good, any kind would be ok with me, thanks. I'd like to try the Tomato Pesto Albacore Tuna. I'd like to try the Mango Chipotle Salmon flavor. Thanks for the giveaway! I like the chunk lite tuna in water. I don't buy tuna in a can anymore. I love the Chunk Light Tuna in Water. Chunk Light is my fave–I buy it all the time! I would love to try the herb and garlic variety, thanks! Chunk Light Tuna is my favorite. I'd like to try lemon pepper. The Starkist Lemon Pepper would be my favorite! I think I would like to try the Hickory Smoked Tuna. It sounds intriguing, but I may prefer plain chunk white. 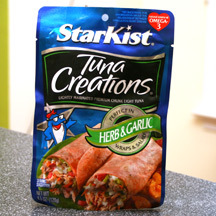 I would love the StarKist Flavor Fresh Pouch® in Albacore in Water! I like the Chunk Lite Tuna in Water. I would love to try the Hickory Smoked flavor! I would like to try the tomato pesto variety. I'd like the Solid White Fillet in Olive Oil. My favorite is the StarKist® Solid White Albacore Tuna. I like the plain chunk light tuna. The Chunk Light is a staple in my pantry, but would like to try some of the others–probably would start with the Sweet & Spicy Tuna Creations. I like the StarKist® Sandwich-Ready Tuna Salad! The Hickory Smoked pack is delicious. I don't especially like fish, and the hickory covers up the fishy flavor nicely. yum! I'd love to try the Hickory Smoked Tuna. I live on tuna for lunches – nice & easy!! The Starkist Lemon Pepper would be my favorite. I visited Starkist and I would like to try their Tomato Pesto! I would like to try the Herb and Garlic. It sounds tasty. The hickory smoked tuna sounds wonderful! 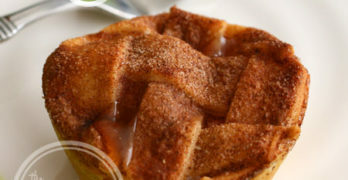 i love the sweet & spicy! I'd like to try the Mango Chipotle Salmon. The sweet and spicy looks good! I would like to try the Lemon Pepper Tuna. We love tuna and I'd like to try the Herb & Garlic Tuna. Thanks. I would like to try the Albacore tuna. Chunk light tuna in water is our family's favorite. Thanks! I just love to try new tuna flavors. I would like the Chunky Light. I like the fresh flavor pouch in the Albacore White Tuna! I'd love to try the Starkist Tuna Salad!